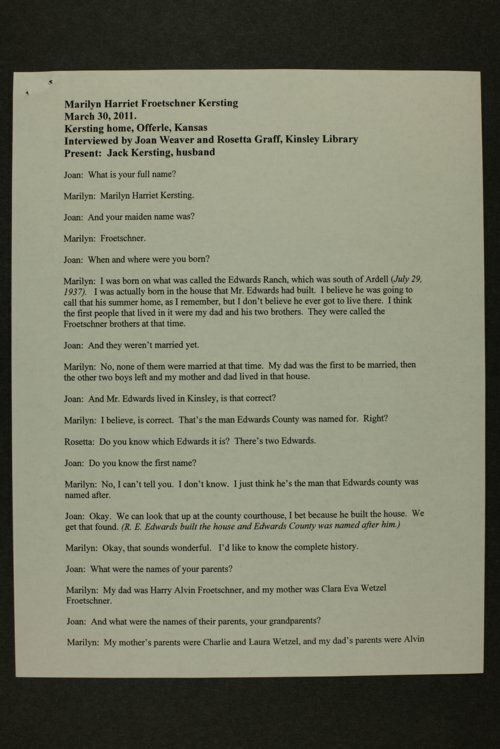 This transcript of an interview with Marilyn Froetschner Kersting is part of an oral history project entitled "Patterns of Change, Edwards County, Kansas 1950-1970" conducted by the Kinsley Public Library. The project was supported by a Kansas Humanities Council Heritage Grant. Kersting talks of her family, education, and her memories of the Edwards County community. An interview with her husband Jack Kersting is also available.